Supremo 1 WIFI Action Camera is hot on the market, being one of the cheapest entry level action camera on the shelf. Action cameras are often used in extreme-action videography but being unique we are, we personalized our gadget use to the kind of travelers, and adventurers we are. To some they use action cameras for extreme sports, while others use it to document their slow travels, and others use it for their photo/video taking of every happenings. Despite the different use of action cameras today, everyone wants to get the best out of the action camera they could find and get. Late last year I was contacted by Digital Frontier to check out Supremo 1 WIFI Action Camera. It is one of the cheapest action cameras on the market, and for some new adventurers or even weekend travelers – they do not want to empty their pocket for an expensive travel gadget. With the adventures planned for that month, I agreed to it and played with the buzz-crazed budget friendly entry level action camera to help you guys decide whether to get one yourself. 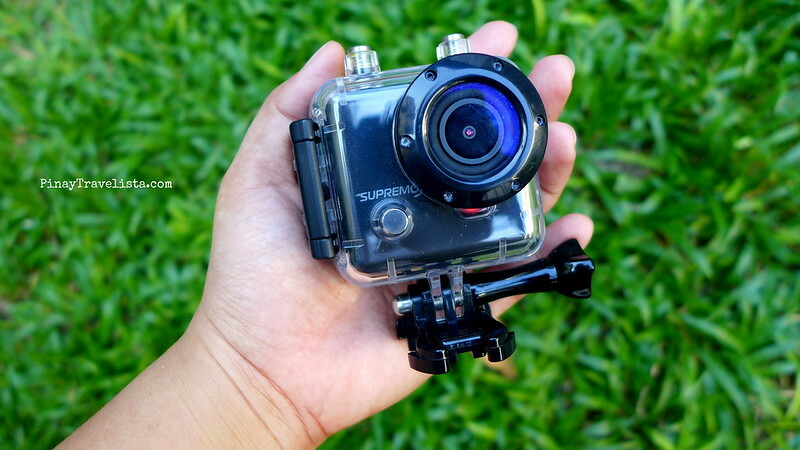 For an action camera of this budget range of around 3,500+ PhP, it came with 12MP; 150 degrees wide angle shots; shoot in HD at 1080p@60fps or 30fps, 720p@120fps, 720p@60fps, and light weight — it is a perfect entry level action camera for any outdoor adventures! You can go ahead and edit the video for slow motion clips, or however you may like. Its wide angle shots are great for adventure sports, and outdoors with its 150 decrees wide angle shots. You can also use it for indoor shots when you find a proper lighting. It can take a photo of the whole room if you wish. It comes with its own waterproof case that can withstrand up to 30m deep dives. I also tested it out during the South Cebu Kawasan Canyoneering, and it held up pretty well on impact from high cliff jumps. Carrying it around was also not a problem because it just weighs 78g. It comes with a wrist remote (not waterproof) that you can use to take photos, and videos with. Or you can can download iSmart mobile app. The instructions on how to use the remote, and how to set up the app is on the user manual. I did have a problem using my wrist remote – it was not working for me, and some of the viewers on the unboxing video above also said theirs were not functioning. I was okay that it was not functioning because I used the Supremo1 mainly for video recording which I directly use the camera buttons to record videos. For those of you who are having problems with your wrist remote you can always use the iSmart app. You may also want to try the suggested mobile app other Supremo1 users use which is the iSport app if the iSmart does not work for you. It comes with a 2-inch HD preview screen that you can look through when you’re taking your shots. I do not use the iSmart App since I mainly use this for video. The preview screen is really helpful in making sure that I got want I need to shoot within frame. The pack does not come with a micro-memory card. You have to purchase it separately. I suggest that you get 32GB memory cards, especially if you plan to shoot in full HD. It comes with 2 batteries of 1000mAH, and can also do continouos recording of 100mins (1H 40mins) depending on shooting conditions. HONEST OPINION ABOUT SUPREMO 1 – Must Read! 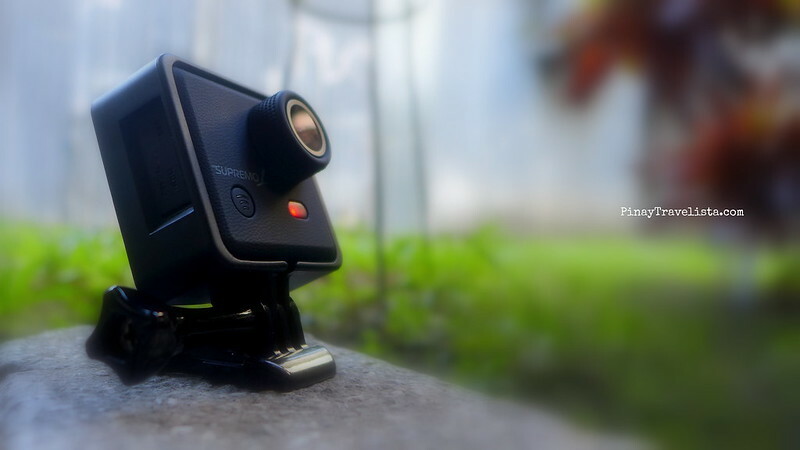 I really do not mind the lesser photo and video quality of Supremo1 compared to the popular brand of action camera out there, after all it is an entry level camera. I had to do some minor video, and photo enhancement to make the quality work for me. The minor enhancements I did were video stability, lessening brightness, adding contrast, and saturation. If you like to check out how the video quality looks WITHOUT enhancements, and edits, check out the unedited Kawasan Canyoneering video above. For the very budget friendly entry level action camera that already has 12mp, record in HD, with adventure gear accessories, and WIFI ready – I must say it is a good deal. I use Supremo1 to create videos that would look good on mobile, and desktop computer quality videos. I do not mind doing some minor enhancements on the videos, and I do not use it for commercial purposes that I need high quality videos out of it. If you ask me if I could compare it with other budget-friendly action camera in the market, I’m afraid I could not. 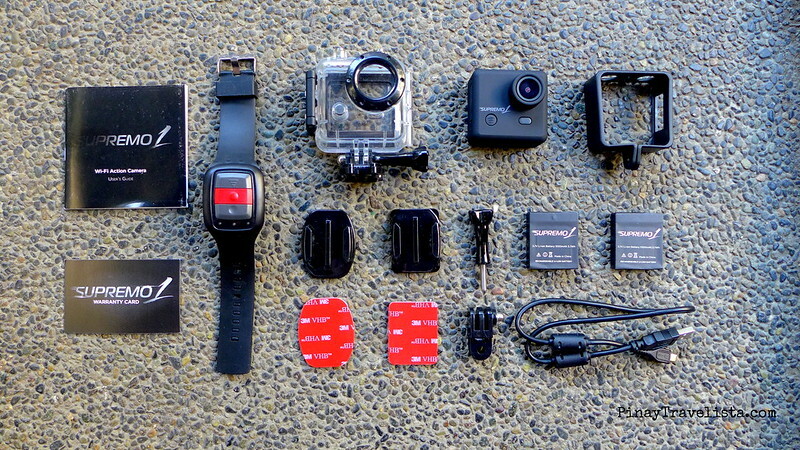 I have not tried any other budget-friendly entry level action cameras to compare it with. But like I said for an ENTRY level budget range action camera, I really find it a steal. Don’t forget to SUBSCRIBE to the YouTube Channel to get updated more gadget reviews and adventure videos!